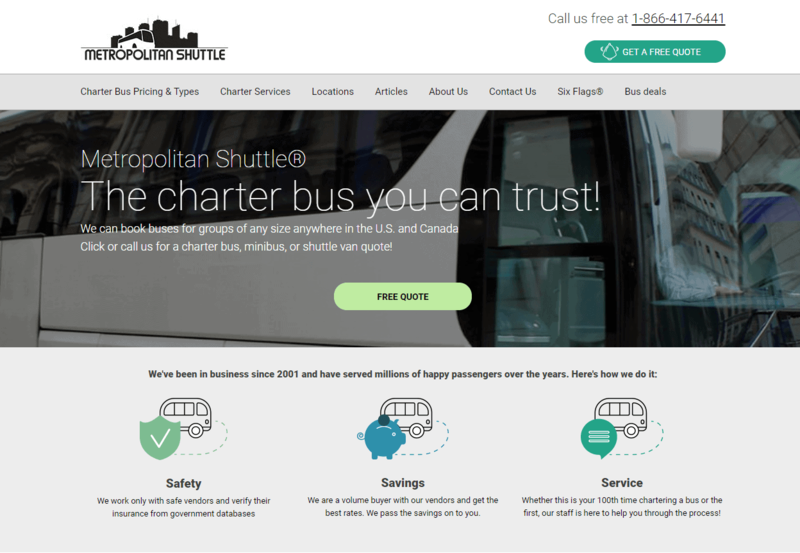 Metropolitan Shuttle is a charter bus reservation service headquartered in Wheaton, MD. The company was established in 2001 and has become the leader in their business. They are GSA-approved vendor and also the official charter bus partner of Six Flags theme parks. The company’s previous website was outdated, so it was rebuilt from the ground up on WordPress. The goals were to create an easy-to-use and responsive website that makes it easy for customers to get a quote for a charter. Under the simple and elegant surface, there are many great features such as integration with CallRail, a call-tracking software, and a 3rd-party CRM.